After months of rumors, teasers and anticipation, Samsung has finally revealed its first folding smartphone — but there's a catch. Shown off by CEO and president DJ Koh during the opening keynote of the annual Samsung Developer Conference in San Francisco, the Infinity Flex Display is only a prototype for now, and won't be ready to buy until 2019. The concept comes just days after Royole announced the FlexPai, which the company claims is the world's first smartphone to feature a folding display, and early adopters should receive in late-December. Unlike the production-ready FlexPai, Samsung is not ready to reveal its finished product just yet. The device shown on stage was bulky — especially when viewed in the closed position — but Samsung reassured the audience that "there's a device inside here and it is stunning." Regarding durability, Samsung says the display can be folded "hundreds of thousands of times" without being damaged. The company also said the display is the thinnest it has ever made. Mass production, Samsung says vaguely, will begin "in the coming months." The company said the screen is "the biggest leap forward in mobile display technology in the last decade...it is a blank canvas for us to create something beautiful together...it lays the foundation for a new platform, an entirely new mobile experience." Samsung first showed off a concept for a folding smartphone back in 2014, then focused its efforts on the curved screen edges of the Samsung Galaxy S and Note devices. The new flexible display is designed to offer the relatively compact dimensions of a regular smartphone when closed, but then fold open to provide a tablet-sized display for watching video or running more complex applications. However, the bulky prototype used on-stage meant it is difficult to determine exactly what the finished product will look like. Samsung also announced a newly-designed Android skin called One UI, which it says is built to work equally well on regular and folding devices. On a foldable device, One UI can display three open applications at once. The folding phone will not go on sale immediately. Instead, it appeared on stage today in front of software developers who will feed back to Samsung their thoughts on the handset. Developers will also spend the two-day conference to try the new One UI software that Samsung design to work on the folding phone. Samsung hopes developers will greet the new form factor warmly, eagerly update their apps for the folding display, and then create new apps to take advantage of the design. The Samsung device is hoped to kick-start a resurgence in the smartphone market, which after a decade of phenomenal growth has fallen flat after the last 12 months. According to IDC and Strategy Analytics, Samsung's smartphone sales fell 13 percent in the third quarter of 2018 compared to the previous year, following a 10 percent decline in the second quarter. Sales also fell in the first quarter of 2018, and the fourth quarter of 2017. This can partly be blamed on stagnation felt across the smartphone industry. Consumers are holding onto their devices for longer (almost three years is now the US average), as annual updates are less appealing than they once were, while prices creep ever upwards. A folding phone, combining the portability and pocket-friendly shape of a mid-size smartphone with the large screen of a tablet once unfolded, could help reinvigorate the market. However, with a price likely well above $1,000 — a level the Samsung Note 9 is already at — it may only appeal to well-heeled early adopters. Huawei, the world's second-largest smartphone maker, is also working on a folding smartphone, which it is expected to reveal in mid-2019, and with 5G capabilities. During Samsung's keynote address, Google announced that Android now has support for foldable devices. Writing about the potential for folding smartphones, Google's Android Developers Blog stated: "For example, start a video with the folded smaller screen - and later you can sit down and unfold the device to get a larger tablet-sized screen for a beautiful, immersive experience. As you unfold, the app seamlessly transfers to the bigger screen without missing a beat. "We're optimizing Android for this new form factor. And, making changes to help developers everywhere take advantage of the possibilities this creates for amazing new experiences, new ways to engage and delight your users." Also mentioned in the keynote address today was the Galaxy Home, a smart speaker which Samsun first announced in the summer but is yet to put on sale. 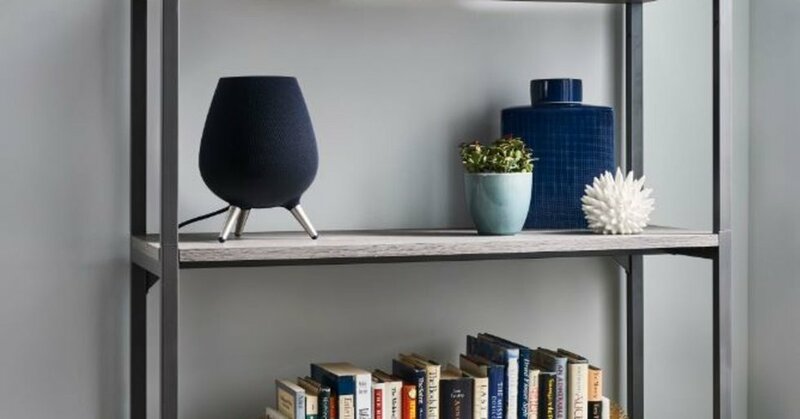 Powered by Bixby, Samsung's voice assistant, the speaker uses technology borrowed from audio partner Harman, works with Spotify, and is intended as a high-end rival to the Apple HomePod. Galaxy Home also taps into Samsung's SmartThings platform, acting as a central command system for your smart home devices in the same way an Amazon Echo or Google Home does. Disappointingly, the speaker was only mentioned in passing and still does not have a price or release date. Samsung also announced that its Bixby voice assistant is now open to developers, allowing them to incorporate the artificial intelligence in their own apps. This update will allow Bixby to communicate with third-party apps, services and products, hopefully letting the assistant help you call an Uber or order a pizza. This will also be crucial if Samsung is to turn Bixby into a smart home controller, like Alexa and the Google Assistant. Samsung showed how a voice command can have Bixby start music, adjust a home's smart lighting, add an event to your calendar, and more. Developers will be able to have Bixby control third-party devices, but also any Samsung device which already talks with Bixby, such as Galaxy smartphones, connected televisions, and smart household appliances like Samsung's fridges. Recognizing that it is late to the voice assistant party, with Alexa, Siri and the Google Assistant already ahead, Samsung pointed out how, when Google launched its search engine in 1998, it went up against 14 other search engines. Whether Samsung can make Bixby into the Google of voice assistant remains to be seen. The company believes that, while Google leads search and Amazon leads online retail, Samsung can be the voice assistant leader. Tweeting about Samsung's position in the AI market, Creative Strategies analyst Carolina Milanesi tweeted: "You can be skeptical about Bixby given the low uptake so far but today is really the first day of the future of Bixby. If things are no different in a year you can keep your skepticism but I doubt that will be the case."